A file upload initiated in an application written in Ruby, Node, or Python launched through Passenger will fail to upload. 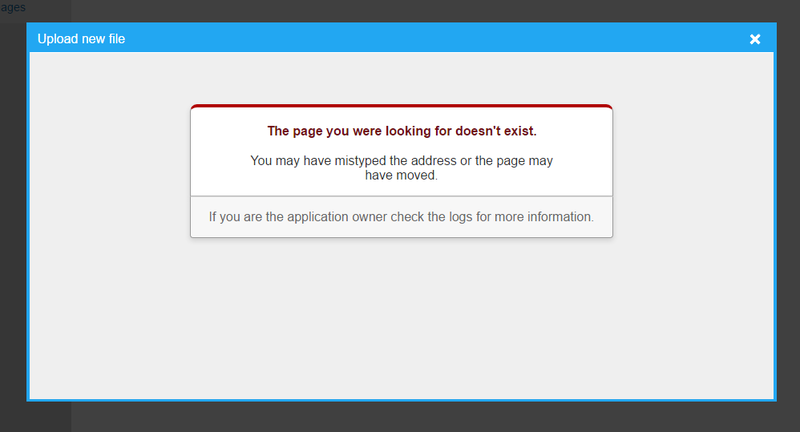 Thus far, the confirmed failure occurs in RefineryCMS with a generic undefined route message following upload. Example conflict in RefineryCMS. Following upload, RefineryCMS reports the route as undefined. It is a conflict between upload screening and Passenger, but the underlying cause is not clearly understood. Upload screening was added to enhance server security effective April 6, 2016. Open a ticket in the control panel to request disabling upload screening on files. Once disabled, file uploads will post without interruption. This entry was posted in CGI & Passenger, Node, Python, Ruby and tagged node, passenger, python, ruby, security.